Female to Male Surgery is also sometimes referred to as simply FTM Surgery. The goal of Female to Male Surgery is to achieve the most natural result possible. 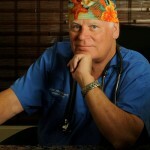 Dr. Alexander takes the time to listen to your desires, and tailors surgery techniques to help achieve your goals. For a consultation and complete cost estimate, or to ask any questions about FTM Surgery, please call (954) 589-0722 or send a message using the form at right. Dr. Alexander has more than 30 years of experience and is entirely confidential and non-judgmental towards all of his clients.